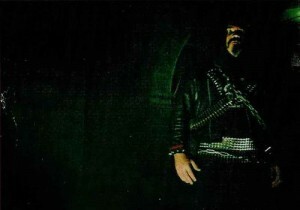 Made up of members of Denouncement Pyre, Destroyer 666 and Nocturnal Graves among others, the Australian death metal entity known as Coffin Lust rose from the grave in 2010 to bring their brand of old school worship to the masses. After one demo in 2012, the band is finally coming up through the mighty Hell’s Headbangers to release their debut album, Manifestations Of Inner Darkness. The two man project unleashes their brand of no frills, dirty death metal in 43 minutes in a quite impressive debut. 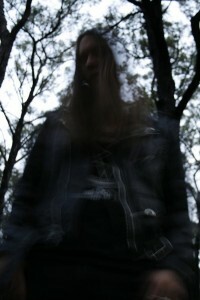 The band describe themselves first and foremost as a way to bring back the sounds of 80s and 90s death metal. This is immediately obvious from the opening minutes of the first track. The mid-paced and riff oriented guitars combine wonderfully with the drums and growling vocals. The bass adds just the right amount of heaviness and thickness as well, and stays pretty simplistic overall, as does the remainder of the music. There are some faster sections, but they tend to come in smaller bursts (the shortest tracks for instance are the fastest on the album, but still done tastefully), letting the music speak for itself and not needing to bludgeon the listener with breakneck speed or constant sweeps and scales. That is not to say the band isn’t technically sound, but the focus is clearly on creating a more murky atmosphere and punishing the audience with just crushing heaviness. Vocally, there is more than just a standard growl luckily as there are a few higher pitched vocal lines amidst the growling. The growls are also not the deepest or most inhuman ever, which works quite well with the music and lends itself to making the album really human and natural. Despite each track having plenty of riffs and some various tempo changes, we are not given much in the way of solos or a lot of lead work. There are a few little flourishes here and there, but they also tend to not last too long yet are certainly effective when utilized. In terms of the production and overall flow of the album, it is really quite enjoyable. Everything is clear, and even if the tracks are creating a darker and more dismal atmosphere, there are no overly muddy or “Portal-esque” qualities on the production and mixing side. Each instrument and vocal line is well represented while the riffs are always discernible. The songs also transition from one to another very well, with nothing seeming out of place or tacked on. There is a logical sense of urgency when needed, and the band knows when to add in a higher vocal or the few leads as well. Very strong songwriting indeed, but that would be expected from musicians who have been around the block a while. Manifestations Of Inner Darkness lives up to its title quite well. These eight tracks do indeed feel as if this duo is unleashing some inner demons and inviting the listener into their dark world. There is something being exorcised from these two, and it’s being given to the world. 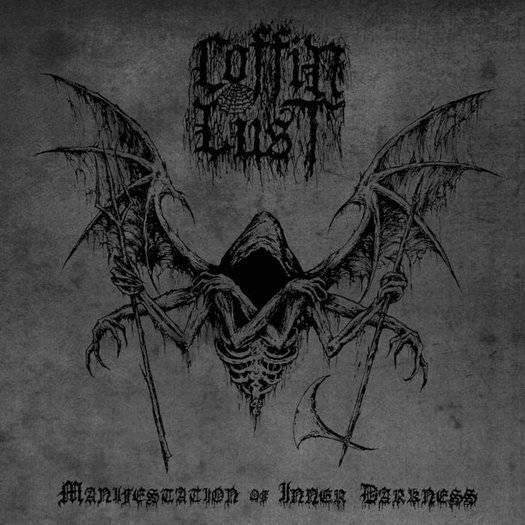 Coffin Lust has combined great song structures with overall impressive musicianship and memorability to put together a very welcome debut effort. This entry was posted in Bands, Death Metal, Heavy Metal and tagged Autopsy, Bloodbath, Coffin Lust, death, Death Metal, Denouncement Pyre, Destroyer 666, Dismember, Entombed, Grave, Hells Headbangers, Morbid Angel, Nihilist, Nocturnal Graves, Obituary, unleashed.